There are many cities around the world where traffic is insane and getting around on a motorcycle is faster, more convenient for parking, and cheaper than buying and maintaining a car, not to mention the gas prices. But motorcycle drivers often don't really know which road to take on Google Maps: they're not cars but they're not bicycles either. 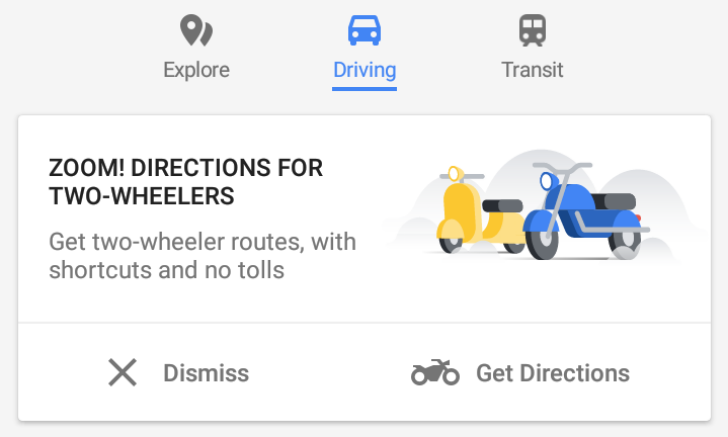 Last December, Google Maps started rolling out a two-wheeler mode in India that helps motorcyclists find roads specifically tailored for them. Now the same mode is starting to show up for users in Indonesia. Developer Digital Tales has been hyping its latest Superbike game for a few weeks, and today it's finally been released on Google Play. 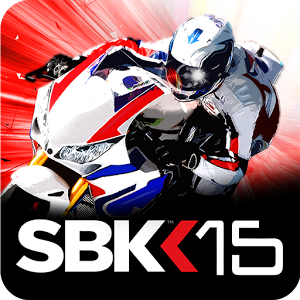 SBK15 is a simulator in the general sense, and it tries to bring a feeling of realism to its motorcycle races. The tracks are based on real tracks, the bikes are based on real bikes, and the riders are licensed likenesses of world championship racers, complete with authentic sponsor logos plastered to their helmets. And don't get me wrong, SBK16 definitely has some good points. The graphics are appealing without being too taxing, the sense of speed is decent, and the tilt controls actually make sense in the context of leaning into a curve. If you subscribe to the vastly-oversimplified concept of a multiverse, then you must believe that, given an infinite set of potential universes, all possible things can and must occur in at least one world parallel to our own. 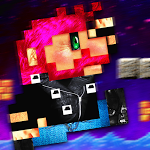 Which means that somewhere, on some alternate version of Earth, Super Mario Bros. stars a textured-yet-pixelated biker named Manley who is trying to track down his kidnapped motorcycle. Kidnapped, that is, by aliens. To the game's credit, it's completely up front about what it is: "This retro platform game pays tribute to, and parodies, classics such as Super Mario Bros., CastleVania and Mega Man, in style!" It doesn't try to hide behind feigned originality.